Peter M. Waters, MD is the Orthopedic Surgeon-in-Chief, Orthopedic Center at Children’s Hospital in Boston, Massachusetts. 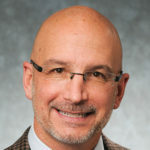 He is Director, Brachial Plexus Program; Director, Hand & Orthopedic Upper Extremity Program; and Director, Clinical Effectiveness Research Center. Visit website.